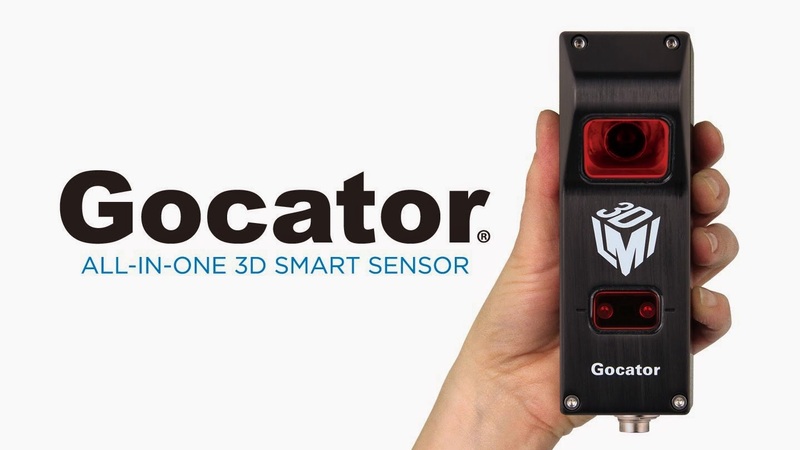 Gocator is a 3D smart sensor that makes it easy for manufacturing facilities to inspect materials and improve quality control at production speed. Gocator is ideal for a wide variety of non-contact, in-line inspection applications. What makes Gocator a 3D 'smart' sensor is its ability to make 3D measurement and control decisions within a single, pre-calibrated package. Gocator's onboard processor includes built-in measurement tools all inside the sensor. No external computers or software is required. It can scan shapes, measure critical dimensions, and communicate to factory floor equipment from any web browser. Gocator makes implementation simple even for those with limited experience in 3D measurement technology. It also interfaces to existing control systems, including PLCs using Ethernet, digital, analog, and/or serial output. With Gocator, the significant cost and error of manual inspection can be eliminated and product quality can be dramatically improved.